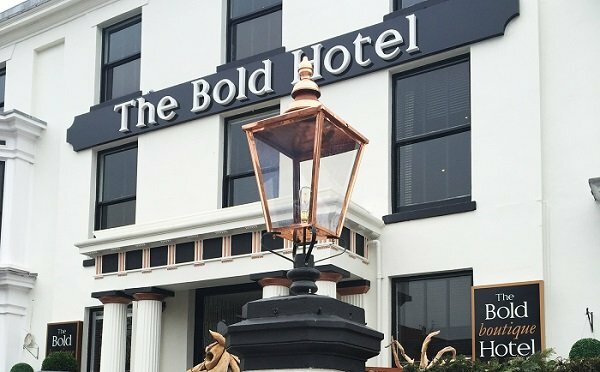 Having undergone an extensive refurbishment, The Bold Boutique Hotel in Southport were looking for elegant yet functional lighting arrangement that would perfectly compliment the beautifully restored 19th century building and sea front location. 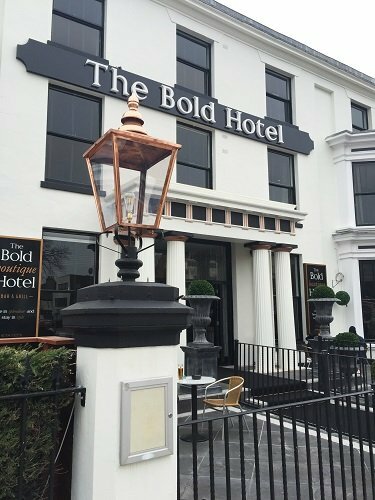 The hotel opted for the regal beauty of our large copper Rochester pillar lanterns. 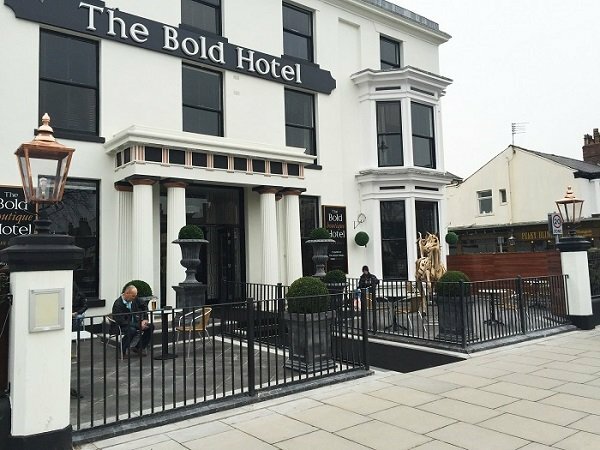 The rich copper tones of this design enhanced the stylish black and white frontage, while the flat mounting plate offered security in such a public location, with each one being fixed to an existing pillar. 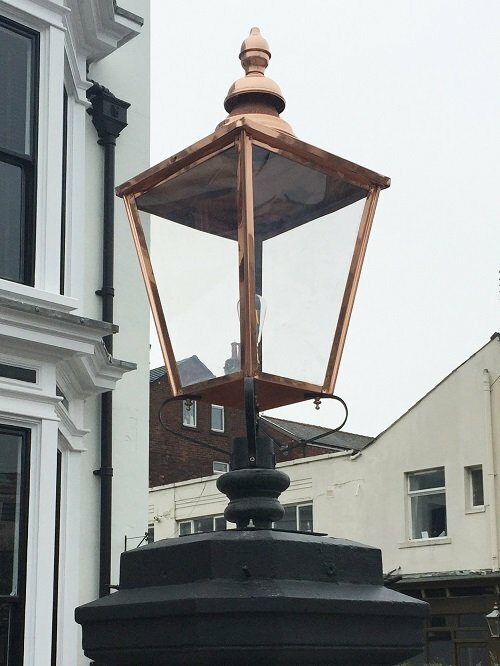 As the pillar lamps were being installed in the coastal area of Southport, each was given a coat of stove lacquer which helps to protect the polished copper finish for up to 12 months, after which time it will begin to age naturally unless further coatings are applied. The beauty of copper in a coastal location is that the salt in the atmosphere will accelerate the process of oxidation, which means the surface of the lantern will begin to go green/verdigris at a much quicker rate. The bulbs used here were bayonet fitments and Squirrel Cage in design. The bulbs provide a lovely welcoming and gentle light. Discover more about the Rochester pillar lights here.